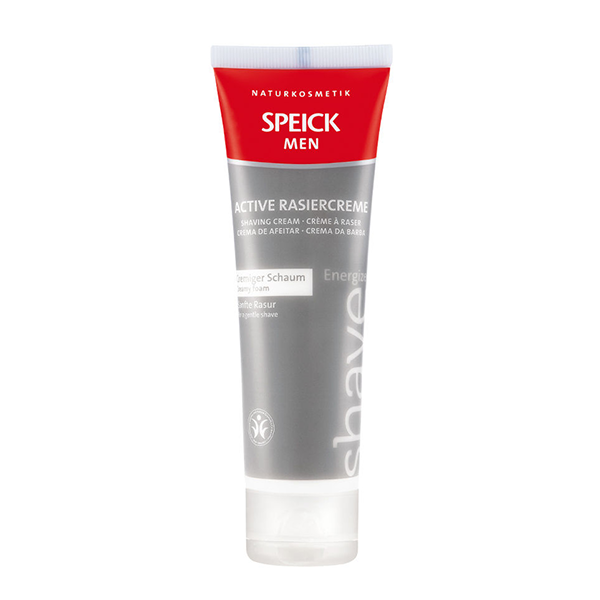 Made from real soap with soothing organic reed extract and additional plant-based ingredients, Speick Men Active Shaving Cream relaxes the skin for a closer shave and lathers wonderfully, allowing the razor blade to glide smoothly over the contours of the skin. Application: Wet the face and shaving brush, dot the shaving cream onto the skin and use the brush to work it into a creamy lather. The shaving cream solidifies at temperatures above 30℃. Simply cool for a short period to restore its fluidity without any loss of quality. 100% free from synthetic fragrances and colours, preservatives, silicones, parabens and mineral oil-based ingredients. Vegan. Dermatologically and allergologically tested.